60074 Teenage Spirit, 6E13, Long Preston, 19 March 2008 - 1402 2 A closer look at the loco, newly re-liveried in the powder blue of the Teenage Cancer Trust by EWS. It was unveiled at the NRM on 4 March. 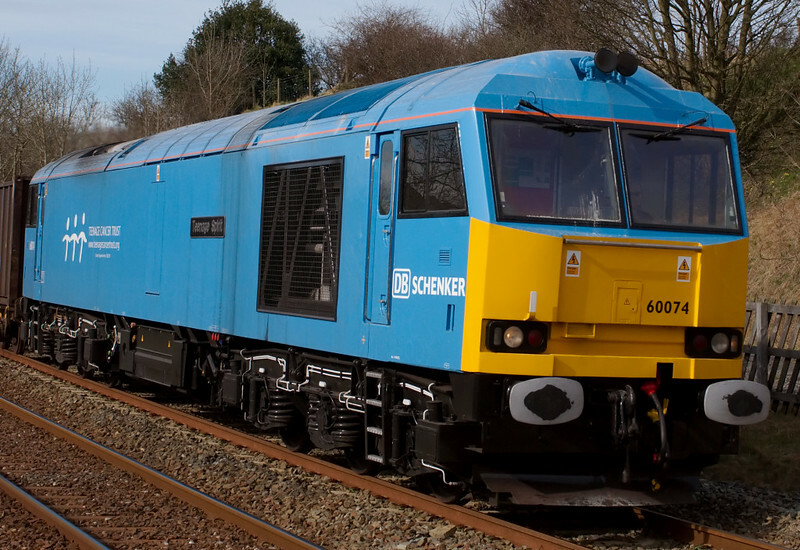 NB that it carries 'DB Schenker' branding, not EWS.